SeaDek helm pads are designed to provide you a comforting time on the water. Helm pads vary in thickness depending upon your application and needs. Stock helm pads are 15mm thick, but we make them in a wide variety of thicknesses also. 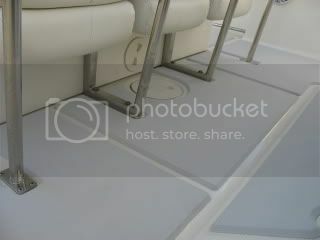 We also offer our pads in a wide varitey of colors so you will be able to find something that looks great at the helm of your boat. 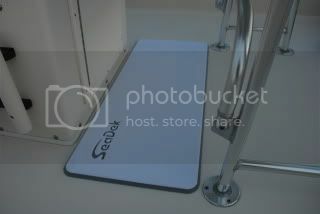 While we sell stock SeaDek helm pads on our webstore, we also specialize in custom SeaDek helm pads. So if you don’t see a size that fits your boat or just want a custom logo contact us and we will get you all taken care of. We specialize is custom logos and design so if you just want one of our stock fish designs, the name of your fishing team, or name of your boat that is not a problem at all. Shoot me an email at info@castawaycustoms.com for more information.